Lucy Somes Lewes FC Women can today confirm the signing of former BHA star Lucy Somes for the 2018/19 season. Lucy, a Worthing College Alumni, joins an already strong Lewes squad following a successful career with the Shegulls, including recent experience of playing in the FA WSL2. She studied sports coaching at the University of Brighton. Somes, a youngster at Brighton from the age of 8, played for Worthing Minors before joining BHA’s Centre of Excellence in 2011. At 17 Lucy won the Albion Young Player of the Year and was Albion’s top scorer in 2014/15. Manager John Donoghue is delighted to be working with Somes once again. ‘I had the pleasure of working with Lucy in the past. She has a great touch, can go past players with ease and has an eye for goal, as can be seen from her record at Brighton. Charley Boswell Lewes FC Women are pleased to confirm the signing of Charley Boswell for the 2018/19 season. Charley, who shares her name with Alabama Hall of Famer Charles A. ‘Charley’ Boswell, joined Brighton & Hove Albion’s centre of excellence at age 14 and worked her way up to play for the first team by the age of 16. Boswell has enjoyed success with the Albion, winning the Sussex Challenge Cup several times, and featured for the Sussex representative side on many occasions. Charley has a degree in Physical Education and Teaching. Boswell was the longest-serving player BHA, playing a key role in the side’s promotion winning season in 2015/16 before joining south coast rivals Portsmouth last season. Charley captained Pompey 8 times out of 19 appearances last term and was voted opposition player of the match on 4 occasions. Charley has been an advocate for equality for women in football, so should feel right at home at Lewes. 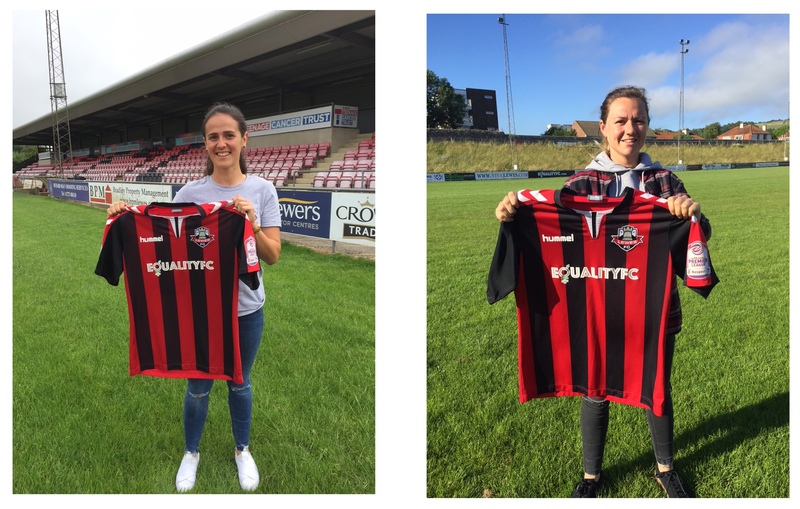 “I’m really excited about joining Lewes FC Women. I am looking forward to the new challenge the Championship will bring. Lewes have a fantastic structure in place to compete at this level.